A smaller computer doesn’t have to be a compromise on performance – the Acer Aspire XC AXC-780-UR14 is proof of that. It’s a capable multitasker in compact form. Whether in a corner of a countertop, tucked underneath a desk, or on a bookcase shelf, this slender PC fits anywhere you want to put it. It comes with pretty good configurability, with hardware such as a quad-core Intel Core i5 or i7 processor. If value is what you’re after, you can end your search with this Aspire. It’s inexpensive, yet is still capable of performing most day-to-day tasks as well as lower end gaming and multimedia. There is also room for expandability and upgrades with certain features, such as memory. Not all desktops these days come with built-in wireless technology, but this machine does. It comes ready to go with IEEE 802.11 802.11ac wireless LAN standard as well as Gigabit Ethernet technology. If the 4GB standard memory included in the base configuration isn’t enough for you, just expand up to a maximum 32GB DDR4 SDRAM. While the Acer Aspire XC AXC-780-UR14 doesn’t come with a display, it features HDMI technology, which allows you to connect it to any HDMI-enabled monitor. Everything is easy to use, regardless of your level of expertise. Having Windows 10 Home simplifies your tasks, thanks to technologies like InstantGo where you can boot up and resume the system quickly. It also ensures that everything runs smoothly. The storage solution includes a 1TB – 2TB Serial ATA / 300 hard drive (5400 RPM) and optical drive, which acts as both a DVD player and writer. All optical media is supported: DVD – RAM / + – R / + – RW. The Intel graphics HD 600 series is pretty fast and efficient for an integrated / shared graphics setup. There are a couple of I/O expansion slots inside of the compact Acer Aspire XC AXC-780-UR14 tower, including a PCI Express x1 slot and PCI Express x16 slots. There are also two M.2 interfaces. The tower case measures 11.5-inches in height, 3.9-inches in width, and 16.5-inches in depth. Maximum power supply wattage is 220-W.
With a total of seven USB ports, there is plenty of connectivity with this PC. You get three USB 3.0 ports and four USB 2.0 ports for connecting any USB-enabled device, be it a smartphone, tablet, digital camera, external microphone, etc. What do consumers have to say? 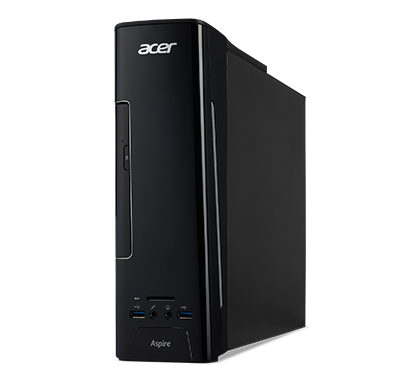 According to some positive Acer Aspire XC AXC-780-UR14 reviews, this computer has fast CPUs and memory, affordability, and good storage capacity. One thing people really seem to love is the fact that it doesn’t take up much desk space. 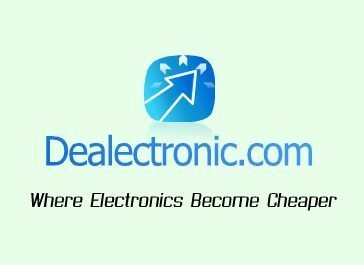 With Acer computer coupons, you can save a lot of money on the latest desktops, laptops, and other electronics. You’ll definitely want to be on the lookout for useful Acer Aspire XC AXC-780-UR14 discounts if you plan on buying this great PC.